This was just born from Xmas Day left overs, but turned out to be a tad incredible. Think thick, “creamy”, sweet & spicy. Put the water and stock into a large pot. Whisk to combine and start to bring to the boil. Add the pumpkin to the stock as soon as it is chopped up. Once the pumpkin is in the stock and the stock has come to the boil turn it down to a simmer and cook until the pumpkin is tender. 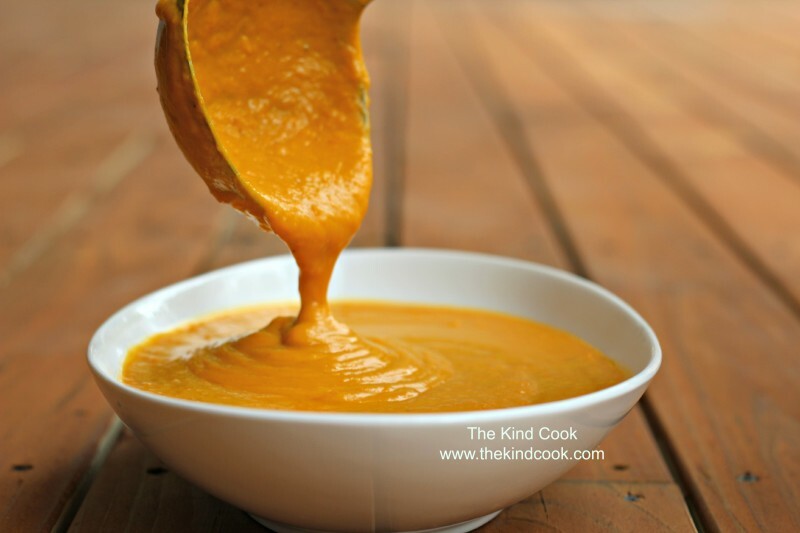 Once the pumpkin is cooked, add the coconut cream and korma paste and blend. Note: If you get your stock on and bring it up to the boil while you are cutting up your pumpkin and if you cut your pumpkin into quite small chunks this can be ready in less than 30 minutes. You can find Massel Stock Powder in pretty much any supermarket where all the stocks and spices are. Patak’s Original Korma is vegan.